"The magnificent energy matrices which coalesce to form galaxies also determine your health, the nature of atomic bonds, and all dynamics in between. This paper will discuss the structure of Ether and those forces, advancing a generalized, panoramic perspective. Better yet, and more importantly, the dynamics discussed can be applied to everyday life, and used to more deeply grasp the subtleties of subtle force physics. 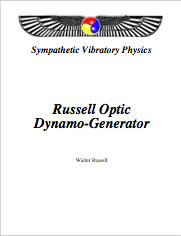 The author's work on two Etheric devices and case studies from her practice will be offered as evidence that the dynamics discussed hold much promise for improving the quality of life. The Universe is all One dynamic, and growing to understand it in broader terms makes all of life more understandable. Above all, dynamics are presented to catalyze the reader's deeper insights." Dawn's excellent paper prepared for and presented at the Conference on Foundation and Fundamental Principles of the Universe, Grass Valley, California, 1997. 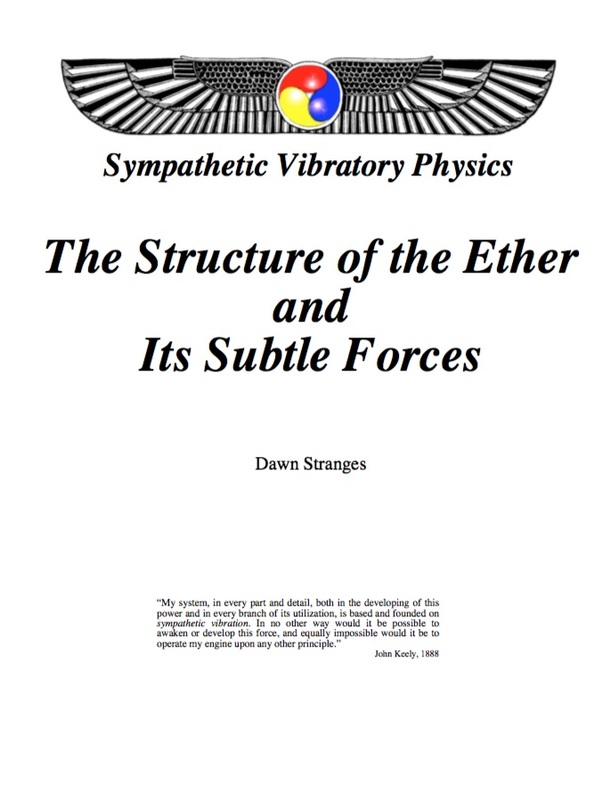 This document is short but gives an absolutely essential view of the ether as it is in nature and its importance to us in science and philosophy. She also goes on to relate how to engineer the seven different ethers and discusses its use in the Keely Musical Dynasphere and her own invention the Sophigurate healing device. 8.5" X 11"